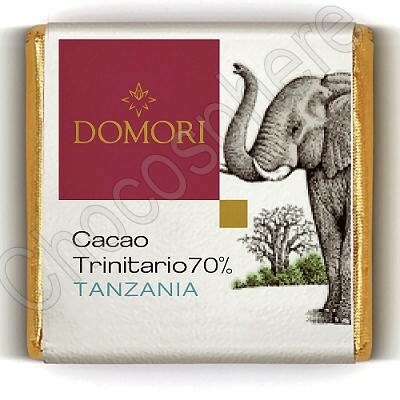 A 1Kg/2.2 lb package of individually wrapped Domori Trinitario Tanzania Squares, from the African country of Tanzania. This cacao has a decisive character and aromatic profile, in which what immediately stands out is a primary note of cacao and a subtle hint of melon. Formerly known as Morogoro. 70% cocoa content. Approximately 185 pieces.